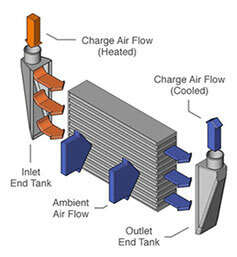 Refer to the tank designs in this page and select the combination of LEFT and RIGHT intercooler tank designs that best fit the direction and location of your inlet and outlet air-line connections. Remember, longer lines with more sharp bends will increase pressure drop. Once you have identified the proper configuration of left and right tank design, and you have selected the right core size, you can submit that information to us through our Quote/Information Request Form, or call us to receive technical and sales support from our engineers. 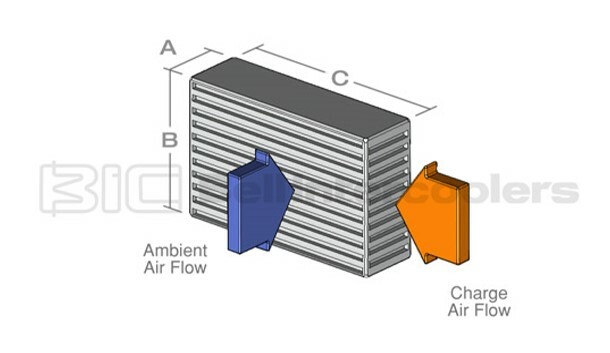 You have intercooler questions. We have intercooler experts. Our engineers routinely work with high performance shops and OEM engineering teams in the development of their intercooler and testing systems. We also provide production and manufacturing optimization for private label projects. Giving you access to leading engineers in the intercooling and forced induction field is part of our commitment to provide you with the best in intercooler technology and components. Get in touch with us and let us help you with your next intercooling, testing or production project.